At the core of this struggle for power is a massive shift from Hard Power to Soft Power. Hard Power was personified by world wars the likes that had never before been seen in human history. Lessons were not learned in World War I, and we had a do-over with World War II, and death, destruction, and horror on an unprecedented scale. These wars (and the smaller ones since) have personified the use of hard power. Brute force was used by killing machines spawned from the industrial, scientific and nuclear ages. Despite the headlines promoting fear, insecurity, and violence, the word is safer today than it has ever been in recorded human history. Don’t just take my word for it, check out the below graph by Max Roser. 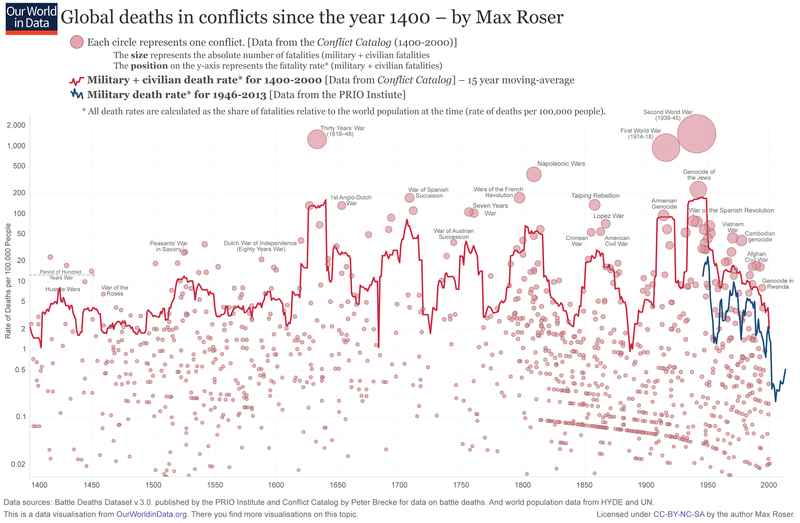 This data shows the Global Deaths in conflict from the year 1400. You will notice that post-1945 (the end of World War II) we have been living in extraordinarily peaceful times. At the same time, the global population has exploded. Throughout human evolution, Hard Power and Soft Power have coexisted. Kings, rulers, and authoritarian emperors have used Hard Power to enforce compliance. Soft Power was wielded by the priests, prophets, and goddesses. Men have dominated positions of power and privilege and used Hard Power as their primary weapon. Known as Yang to the Chinese, this masculine energy is counterposed by Yin the power of the feminine. This is not about right and wrong. It is all about balance and tapping the qualities of both Yin and Yang. Since the end of World War II in 1945, we have seen a rise in globalization, equality, longevity, wellness, and standards of living for the world as a whole. The middle class in the developed countries has been shrinking since the beginning of the 1990’s, while at the same time the middle class in developing countries have been booming with hundreds of millions of people lifted out of poverty. We are witnessing a power shift on a global scale that is unlike any other seen throughout human history. 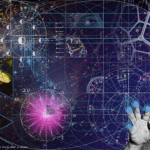 The world is interconnected with news, information, and knowledge traveling the world and available to everyone in microseconds. What used to take years and was unreliable at best now takes less than a second and is 100% accurate (the information is accurate, however, like anything it is subject to interpretation). Abuse by people in positions of power is less tolerated than ever. The power really has moved from the people at the top to the people at the bottom, who vote with their feet and their wallets. Since leadership by force no longer works as well as it used to, leaders are compelled to adapt and use Soft Power, persuasion, engagement, empowerment, influence, passion, and vision to communicate and affect behavior. 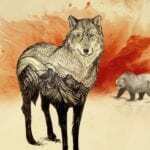 Like any progress, we may see some forward movement and then experience some lurches backward, some regression, or return to the old ways. The people in positions of power who have seen their influence diminish may wish to return to the glory of the old days. They dream of the heyday of pure Hard Power. If you watch the long-term trends, you will see that the world is evolving and that you cannot stop the march of progress. Yes, we have global problems of epic proportions. 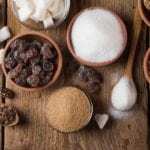 Our food supply is tainted by industrial farming, however, at the same time, millions of people have been pulled from the brink of starvation and death by the very same industrial food supply. Our quality of life has improved, and the planet is warming at an unprecedented rate. We have to fix these problems, and rest assured, we will! Perhaps at the last moment, on the brink of disaster, we will make it from the emergence of emergency (as coined by R. Buckminster Fuller). Soft Power is here to stay, and it is built on top of and in balance with Hard Power. It does not replace it. 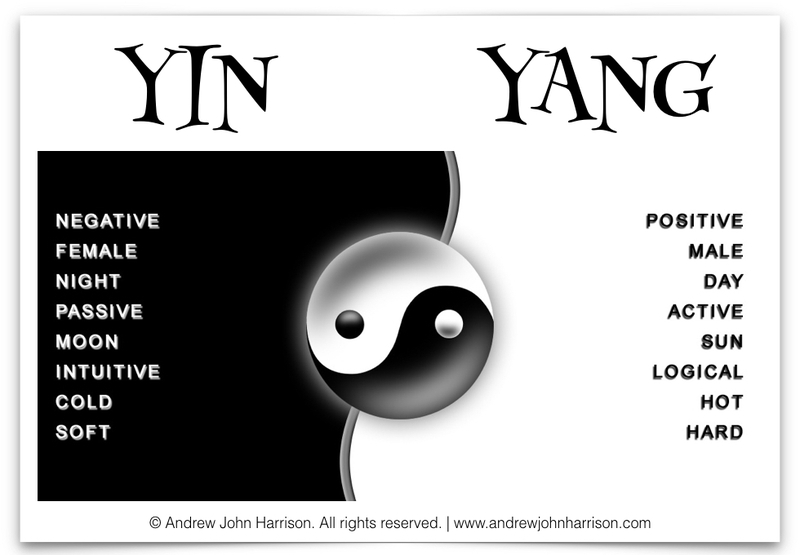 Consider, Yin and Yang, if you removed or block either, you would have no flow, disease, imbalance. Same with leadership. 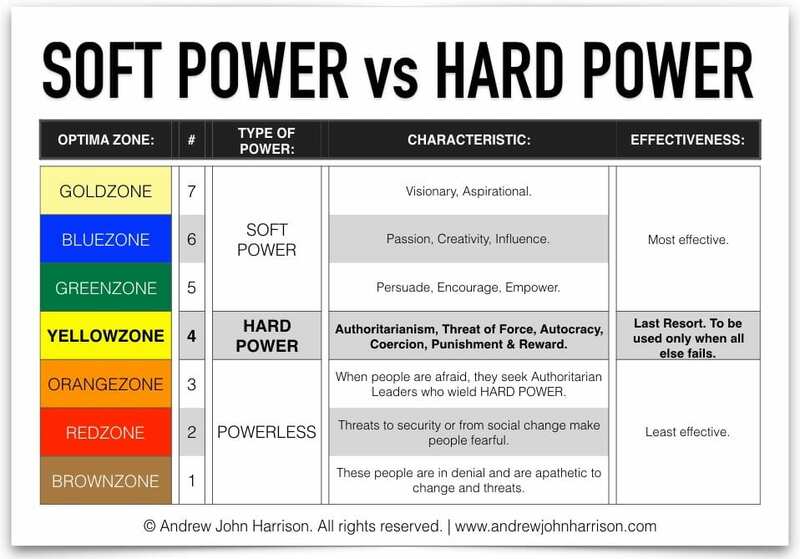 Soft Power augments Hard Power. In politics, a strong military (Hard Power) is the foundation of strong diplomacy (Soft Power). As a leader, if you cannot get and keep respect, lead from a position of command and control, there is no way you can lead from Soft Power of influence and persuasion. Average people are easily manipulated to give power to Authoritarian Leaders by terrorizing them, by fear-mongering and pandering to their scapegoats as the primary cause of their problems. These people feel powerless and are looking for someone to shake up the status quo. Today’s instant media is a perfect weapon to fan the flames of prejudice, racial intolerance, and division. If you are already successful and looking for the next wave of development for yourself as a leader and your organization, then consider adopting more Yin, feminine qualities, and Soft Power. 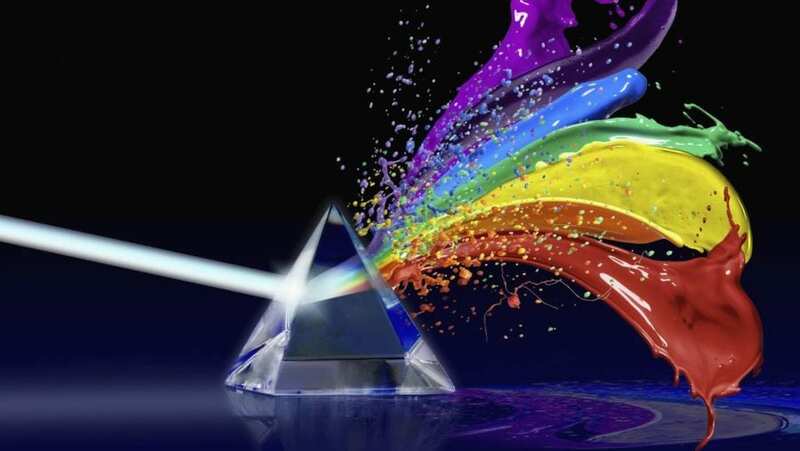 Creativity, innovation, cooperation, loyalty are all in unlimited supply. When you have reached the limits of physical success, the next stage is to develop more fulfillment, passion, and purpose. Many people who sell their souls for money, in heartless, soul-sucking workplaces, doing work they hate with people they can barely tolerate end up wanting to throw it all in, join a nunnery, become a monk or work for a non-profit in order to do something with purpose and meaning that nourishes their soul. Rather than wait for an existential crisis, make decisions that move you up the value ladder, up the OPTIMA Zones, embrace Hard Power and work diligently on the skills and core competency of Soft Power. Some say we are leaving the Sacrificial Age and are entering the Age of Aquarius. Short-term there may be some setbacks, however, the future looks bright. Welcome to the new Renaissance for Leaders!